MORRIS TWP. 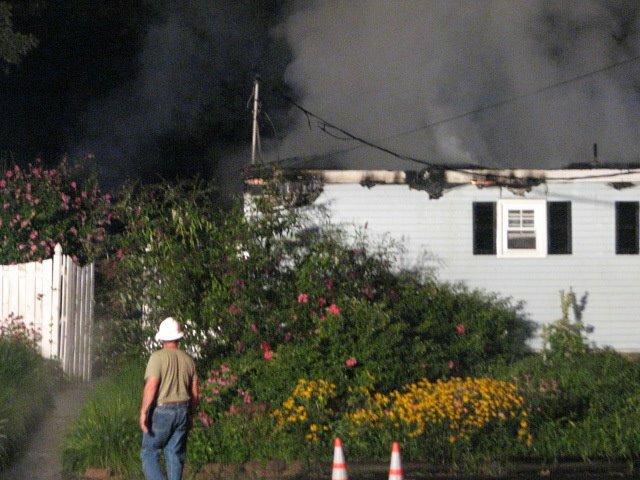 -- The pool house at the private Cromwell Hills community swimming club was destroyed in a fire early Monday morning. No injuries were reported, police said. 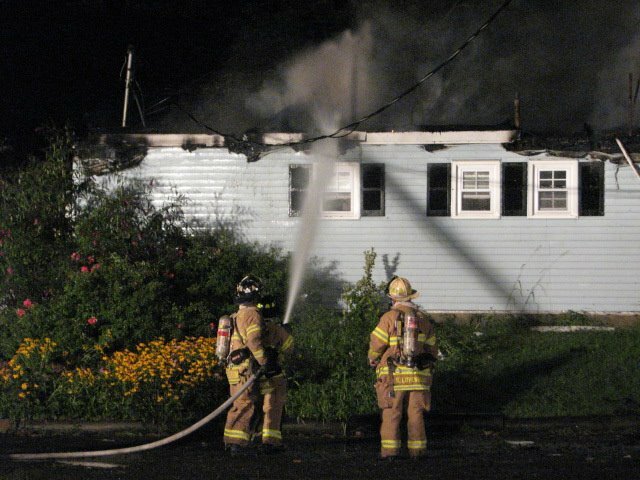 Police received a 9-1-1 call at approximately 1:48 a.m. reporting that the pool house in the Cromwell Hills neighborhood was engulfed in flames. 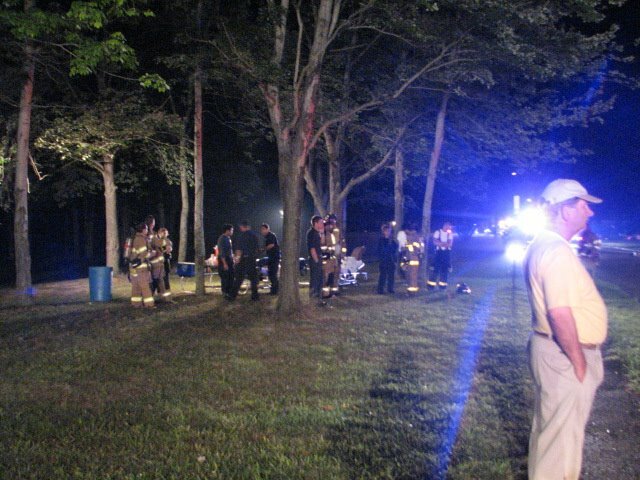 Firefighters were dispatched immediately, extinguishing the fire. They didn't leave the scene until about 6:30 a.m. The building was destroyed, Capt. Dennis Reilly said. "It is, for the most part, a total loss," he said. The cause of the fire is still under investigation, Reilly said. "The investigation is ongoing," he said. The pool house contained an office, filtration systems and changing areas, police said. According to officials, the pool has been in existence for approximately four decades, and its membership includes about 80 families. Calls to the Cromwell Hills Recreation Association were met with a busy signal. 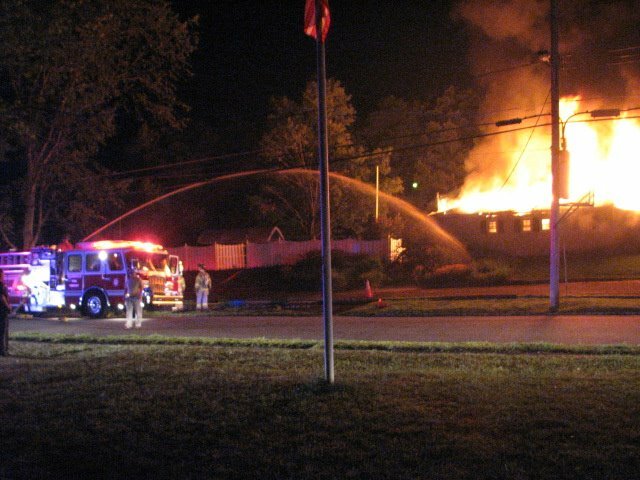 Susan Hubbard, a former board member, described the fire as "an unfortunate incident." It is not clear when the pool will reopen. Morris Township Recreation Director William Foelsch said the township is willing to offer a discounted membership to residents of the Cromwell Hills neighborhood to use the two township pools, Streeter and Ginty, for the remaining three weeks in the swimming season. The township typically does not offer discounts on memberships to its public pools, Foelsch said. However, in the aftermath of the fire, "we recognize that this is an unusual situation," and he hopes the residents will take advantage of the offer. Anyone with information about the fire may contact Detective Sgt. Martin Tessmer at (973) 326-7486. Minhaj Hassan can be reached at (973) 267-9038 or mhassan@gannett.com. 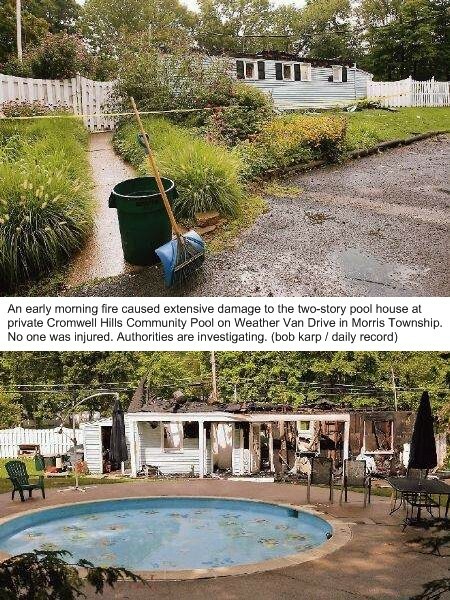 Note: The day after this fire, Tom Tierney, who was home on vacation visiting his family, went down with his sons to the pool house to see the ruins. His son Zach decided to get a souvenir, and picked up a half-burned document from the parking lot. Tier studied it closer when he got home. 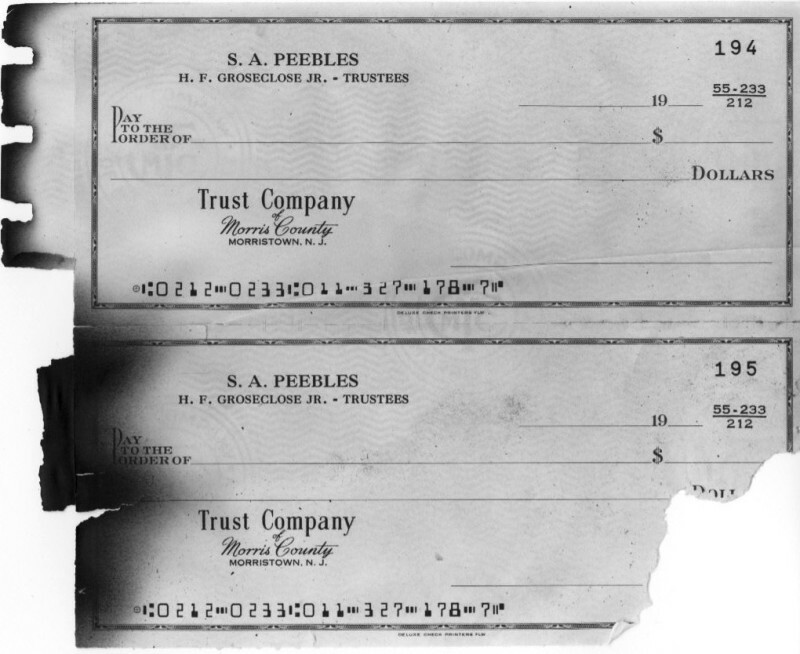 It was a check book with Stuart Peebles and Herbert Groseclose's names on it, two of the founding fathers of the pool. See it below. 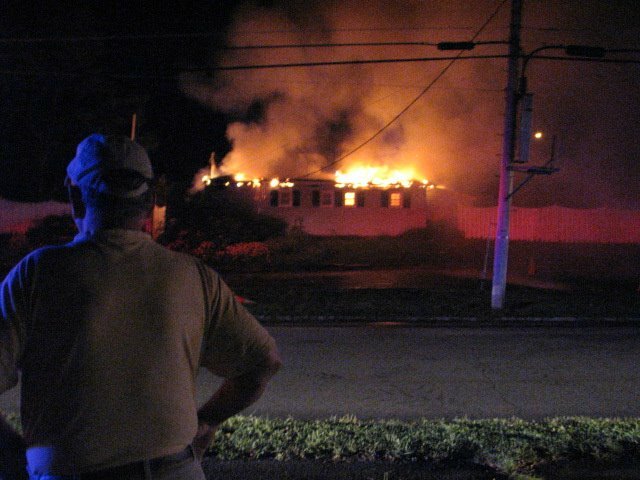 a private community's pool house burns down so they get a discount to a public pool? come on, I'm sure if they live in a private community they have the money to shell out for a public facility full price. Anyway, if they are too good to live in public, stay private, Im sure they can live without a pool for a month. Know your facts- Cromwell Hills is not a private community, it's just a neighborhood. Only the pool is private. 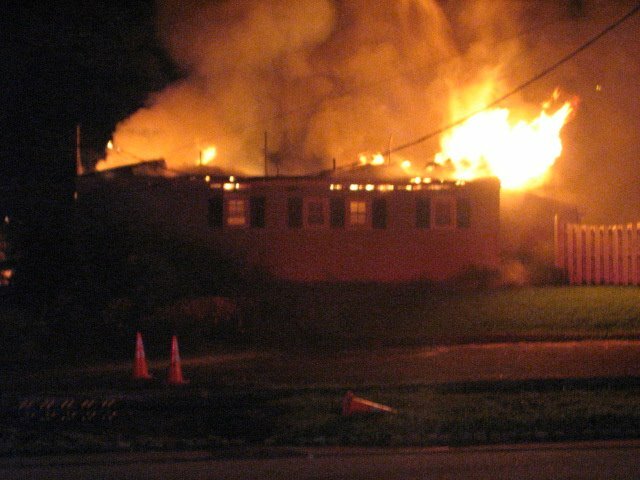 Below, photos from the night of the fire. Unknown who took them or how they got on the Internet. Below is what's left of the pool checkbook, which was found in the debris by Tier's son Zack. You can see Stuart Peebles and Herbert Groseclose, both trustees, were in charge of it. It is still stashed in a shoebox in New Jersey. Read a history of the Cromwell pool written by Ed Finn (Bobby's father) in 1969.